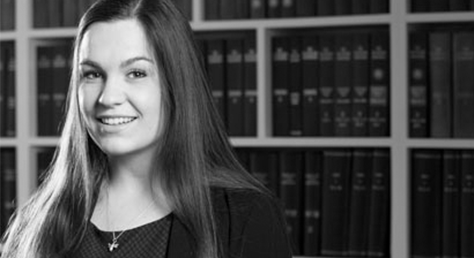 Family trainee solicitor, Felicity Jones looks at the issue of needs following divorce. This case concerns the financial remedy awarded to the Wife following divorce. The Husband was 65 years old and had assets of around £37m; the majority of which was acquired prior to the marriage. The Wife was 38 and had suffered psychological harm as a result of the marriage and its breakdown. As a result, the Wife’s earning capacity (her ability to work and earn money to support herself) was very uncertain. The parties had been married for less than two years and had cohabited for two and a half years before marriage. It was accepted at the Final Hearing that the Wife’s financial award should be sufficient to discharge her debts, provide her with a house and a fund from which she could derive income. At first instance, HHJ Wallwork awarded the Wife £4.25m, including £2.3m for a London flat and a term of years income fund of £1.34m. The Husband appealed, arguing that the Judge had gone beyond his discretion. The appeal was heard by Mr Justice Mostyn, who dismissed the appeal. His Honour stated that ‘Plainly “needs” does not mean needs. It is a term of art’. The Judge stated that an assessment by a Judge of a party’s needs is discretionary and that the “needs” must be causally related to the marriage. The Judge recalled that Heather Mills-McCartney ‘needed’ £25m (McCartney v McCArtney  1 FLR 1508) and Mrs Juffali ‘needed’ £62m (Juffali v Juffali  EWHC 1684 (Fam)) and in AAZ v BBZ  EWHC 3234 (Fam) the Applicant Wife ‘needed’ £224m. In this case, whilst the trial Judge may have been generous, Mr Justice Mostyn held that he had not gone beyond his discretion. Mr Justice Mostyn also used this Judgment to express his concerns about elaborate enquiries into the scale of the marital assets, when the costs consequences of such enquiries were not proportionate. If you need any assistance with a case such as this, or any family case, please contact Mavis on 020 8885 7986 for an appointment to see or speak with a solicitor in the family team.